Clickbait. Fake news. Bogus content. If you’re on the Internets, it will find you. It’s all about the eyeballs. Advertising supports news, media, entertainment whether it’s print, TV or online; I get that. For social media, those sites benefit from the free content created by their users, then sell that content and user data to advertisers. As the clicks, eyes, links, shares are more important to the revenue stream than accuracy or quality, there’s a lot of bad information out there. Crappy eye-grabbing headlines are just one aspect of clickbait that’s hurting journalism as well as blogging, content marketing, and social media. I follow Carnival Cruise Line online, and an article kept catching my eye about how the brand uses AI and wearable technology to enhance customer experience, much like Disney World’s MagicBand program. The cruise line that has this technology – only recently launched, limited to certain ships – is Princess Cruise Lines, a Carnival subsidiary. FWIW on the LI version, I left a “wrong picture, bad headline” comment. Really feels that way sometimes. It’s important to get things right. I don’t RT or post so much of what I read because there’s either something off about it, I can’t verify the info or even figure out the right attribution to give due credit. That’s all I got. Post accurately, share responsibly, report as needed. 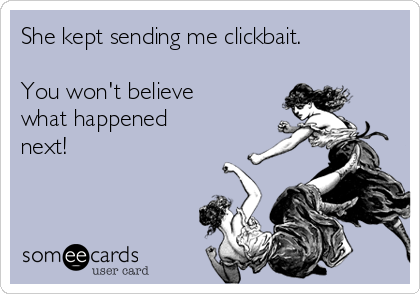 And if you do decide to bait that hook, make sure your content is worth the click. You: worst clickbait headline you’ve fallen for? 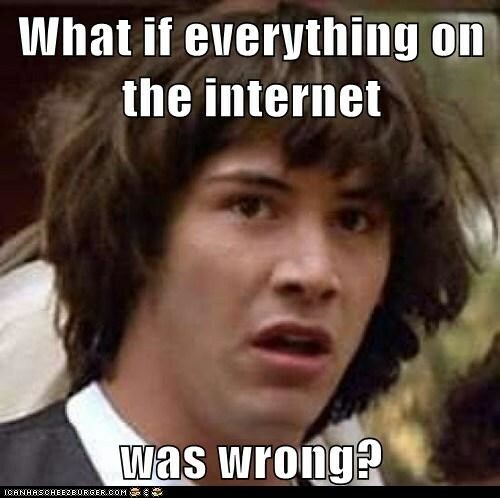 Article you can’t believe you clicked? Did you do anything about it?